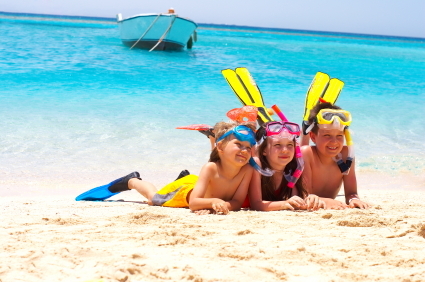 When thinking about the benefits of wearing sunscreen one thing comes to mind, the beach. The mention of sunscreen and beaches takes me back to my childhood summers spent visiting my grandparents. I would love to roast marshmallows by the fireplace, stay up late, and read bedtime stories. Unfortunately, there would always be that inevitable sunburn covering my back and neck the next day. For many of us, a beach is a place of beauty and joy, even if we’ve never quite gotten over the trauma of one too many sunburns as children. I never quite understood how I always seemed to get a sunburn when I was a kid. My parents and grandparents were always adamant about us applying sunscreen on every inch of our exposed skin. How was it possible for us kids to get burned in so many places and at so many distinct times? And sure enough, I’ve learned a number of things about using sunscreen to maximize its effectiveness and to keep you and your skin from looking like a boiled lobster. I now know that I consistently got sunburns because I didn’t reapply often enough or didn’t give it enough time to absorb before jumping into the water. Even though it seems like sunscreen has been around forever, it hasn’t been. But, the idea of protecting one’s skin from the sun has been around forever. The Greeks used olive oil and the Ancient Egyptians used extracts of lupine plants, rice, and jasmine. We use some of these same ingredients in products today. The people in the Philippines would make a paste from water seeds, spices, and rice. The first synthetic sunscreen came along in 1928. 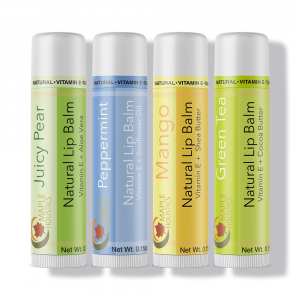 In 1944, an airman and pharmacists named Ben Green used red vet petrolatum to protect against the sun. He used it on himself and other soldiers to prevent the ultraviolet rays from hurting their skin during World War II. The greasy substance was heavy and not pleasant. It worked by being a physical barrier between the sun and skin. After the war, Green mixed his “red vet pet” with cocoa butter and coconut oil. This combination would later become Coppertone suntan lotion. In 1946, Glacier cream was introduced to the market under the brand “Piz Buin”, which is still around today. Franz Greiter, a Swiss chemistry student, invented it. He suffered a really bad sunburn while climbing Mount Puz Buin, which is why the sunscreen brand name is “Piz Buin.” Sunscreens with ultraviolet A and ultraviolet B filters were introduced by Piz Buin in the 1970s. As you can see sunscreen has come a long way and continues to change and improve as time goes on. First of all, and I cannot stress this enough: sunscreen needs to be reapplied every few hours! Putting sunscreen on all over your body, no matter how thickly, does not give you a free pass to sit out in the sun all day. There’s no way that the morning’s application of sunscreen will suffice. 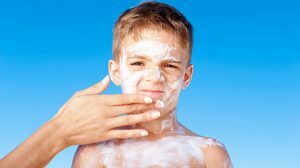 Whenever you are planning on being outside, apply the first coat of sunscreen at least 20 minutes before heading out so the sunscreen has a chance to “kick in.” Ensure that you are using enough sunscreen and not skimping. You only need about one shot glass worth of sunscreen to cover all of your exposed skin. If it’s a cloudy or cold day outside, the sun’s rays can still reach you, so you’re not absolved of the need to wear sunscreen. Putting sunscreen on every day, particularly on the delicate facial area, is a good habit to get into. Wearing a hat on sunny days, particularly one with a wide brim, can further protect your face and body. When you wear a hat, spots which are typically forgotten about, such as lips and ears, are further shaded. For all you ladies, putting sunscreen on under your makeup may not sound like the most fun thing to do, but then again neither does getting skin damage from the sun. (If you are looking for a safe and natural way to wash off all that sunscreen and make-up after a long day at the beach check out our facial cleanser for sensitive skin). I’m sure you’re already aware that sunscreen protects you from harmful diseases such as skin cancer. But did you know that skin cancer is now considered the most common of all cancers? And the way to reduce your odds is quite literally right at your fingertips, in the form of sunscreen. Melanoma is the most dangerous forms of skin cancer. If found early on, it’s almost always curable. It isn’t always so easy to spot though. If it’s not noticed, it can expand to other parts of the body which will make it much more difficult to treat and can become fatal. In addition to cancer, UV rays can suppress the immune system, making it more difficult for the body to fight off disease. UV exposure can also contribute to eye damage such as cataracts. Aside from the obvious health concerns, sun damage can have negative aesthetic effects in the long run as well. Sunburned skin contains within it damaged cells and blood vessels, and over time, accumulated damage can lead to skin looking leathery, dry, discolored, and wrinkly. It will also bruise more easily, despite the appearance of being thicker, since the skin, your protection, has been weakened. Maple Holistics SPF 30 broad-spectrum sunscreen lotion has a wonderfully smooth aloe-based formula and is non-greasy. It’s also water resistant for up to 80 minutes. This means that if you want to hop into the ocean or pool to cool off, you don’t need to worry about your sunscreen slacking off and leaving you exposed to the elements. Fortunately, this brand also does not have that chemical smell which I always associate with sunscreen, and instead has a lighter, more subtle scent. 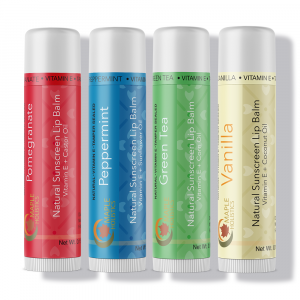 If natural is important to you Maple Holistics SPF is the best choice but there are other less natural lotions like kiss my face sunscreen that could work for you too. 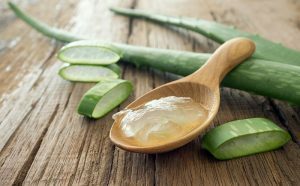 Another perk of using an aloe formula, scent aside, is the fact that the aloe vera plant has naturally soothing antibacterial properties. For this reason, it’s common and easy to use it as a treatment for sunburns. If you are recovering from a mild case of sunburn and want to further protect your already-sensitive skin from the sun’s rays, use a sunscreen with aloe. 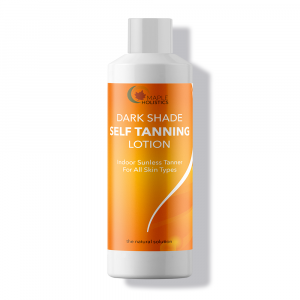 It simultaneously prevents additional damage while also helping the existing sunburn to heal that much quicker. 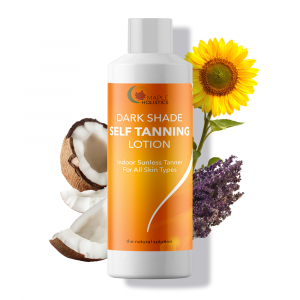 As broad spectrum, this product blocks both UVA and UVB rays. The general term of UV radiation refers to the part of the light/electromagnetic spectrum that can reach the earth from the sun. Since its wavelengths are shorter than visible light, the human eye cannot detect it. UVA rays are longer than UVB rays and are not absorbed by the ozone layer. They are therefore responsible for the vast majority of UV damage to our skin. UVB, on the other hand, is typically absorbed by the ozone layer, although some rays can and do still reach the Earth’s surface. Both varieties can be responsible for damage to the human body, which is why a good sunscreen is necessary to protect your skin from both. In addition to using sunscreen, it’s also very important that it’s not expired. Even though you should be applying sunscreen year-round, most people only look for it in the back of their cabinet when the season changes and they start to literally sweat. If you used the sunscreen all year round, you probably would never need to throw out expired sunscreen. The expiration date on sunscreens isn’t just so you feel obligated to buy a new bottle. It actually means that the sunscreen may not be able to protect you from the harsh sun. Most sunscreens are designed to last three years. Before you buy one, you should check the expiration date, but know that some may not have one. Even if your sunscreen is only one summer old, there are other factors that may have made it spoil faster than the date listed on the tube. If it has been stored in a warm place like your purse, car, or by the pool, you should replace it every couple of months. A change in texture could also be a sign of spoiled sunscreen. You need to get sun because vitamin D is not naturally found in abundance in food. However, be aware that in this day and age, many food products do in fact have vitamin D added to them, so don’t be under the false impression that sitting out in the sun for hours on end is the only way to get your daily dosage. And when you are out, always stick with using sunscreen! If you must be out in the summer, when the sun is at its strongest, try to avoid going outside in the strongest heat of the day, which is around 10am-3pm. It is during these hours that ultraviolet rays are at their most potent.